The WWE legend, 39, finally popped the question to the star of Total Divas after they teamed up to defeat The Miz and Maryse at the World Camping Stadium in Orlando. 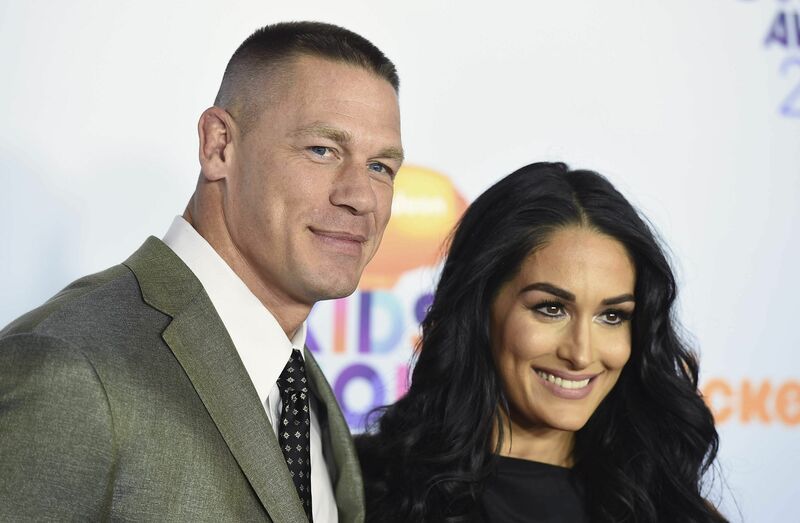 Cena left his 33-year-old partner speechless as he dropped down to one knee in a touching show of romance. He revealed that he had asked her previously to marry him but wanted to make it official at the ‘grandest stage of them all’. Cena got down on one knee after the pair defeated The Miz and Marse in a tag team match Sunday at WrestleMania 33. He said he had been waiting “so long” to ask her to marry him. “I said, do you know, one day I’m gonna marry you? You said, yes,” revealed Cena, speaking in front of a stunned WWE Universe. Cena then presented the former Divas champion with a diamond ring – and she duly obliged by accepting before celebrating with her family at ringside. The pair have been dating since 2012 after Cena’s divorce to former childhood sweetheart Elizabeth Huberdeau. During an episode of Total Divas that aired last April, Nikki said she hoped her boyfriend would propose. A tweet from WWE showed Cena proposing with a diamond ring. Next ArticleWhat's Your Zodiac Sign Trying to Tell You About Stress?